This was very quickly made CD with a band that was from Mamou, Louisiana and played Cajun music with loud guitars and distorted fiddle. I remember picking up the fiddle one time in the studio and comment on how light it was and the fiddle player, Jonno Frishberg, saying, "Well it shouldn't weigh much, it only cost $20". My friend Bruce Sheehan, who ran Jungle Records called me with the low budget blues and asked me to help and I did. We recorded this at Arlyn Studio in 3 days and soon after Jungle released it, MCA Records became interested and picked it up. I love stories like this in a world where people were spending $300,000-$500,000 making records. I think I like the nickname: MIKE THE GIANT KILLER. Steve LaFluer the writer/singer/guitar player was a true Cajun man. He ate meat for the appetizer, the main course and dessert. He walked through the muddy fields drunk on ugly day. 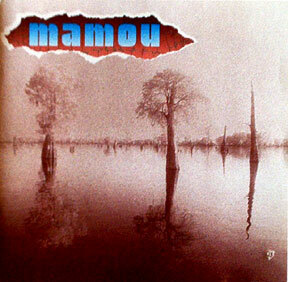 Mamou is in the heart of Cajun country and he brought this heart to the session. He is a great singer and gave it up ever time he was in front of the microphone. This band made their way to a lot big stages over the years and made a good showing for a hard rock cajun band.